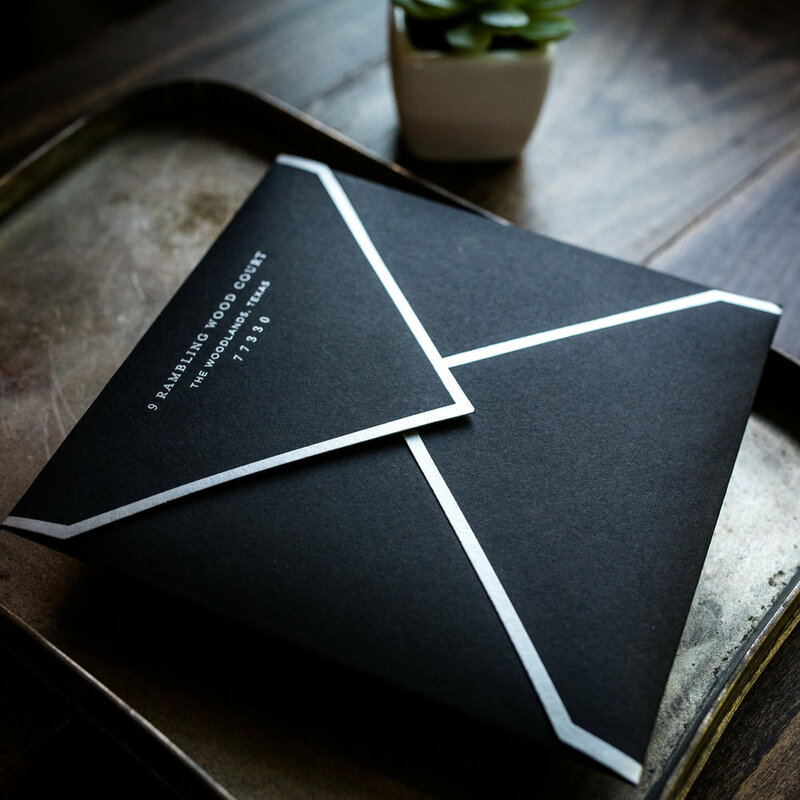 Give your guests an experience with opening these gorgeous, hand-folded origami invitations. Shown with a dual-colored black and charcoal origami pocket. Our starting prices for origami invitations are approximately $1,700+, while the average Penn & Paperie client typically spends $2,000+. These are rough figures based on a quantity of 100. To receive a custom quote, please fill out an enquiry form by clicking the button below that says "inquire about this product". Our average starting prices for origami invitations are approximately $17+ per suite (a suite consists of a invitation, rsvp set, mailer envelope, etc.). These figures are loosely based on a quantity of 100. 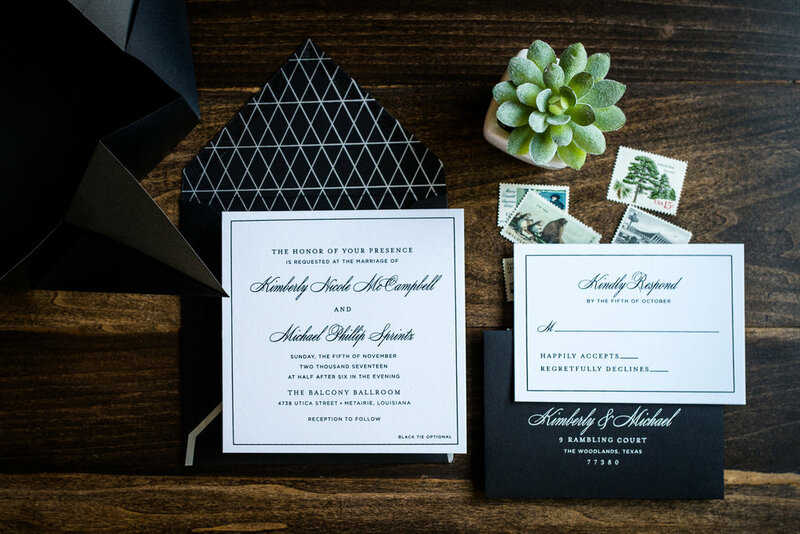 There are a range of factors that can affect the pricing for invitations - like printing options, cardstocks, and the amount of enclosure cards. Knowing your budget helps us narrow down what options would work best for your project. Please mention City, State. Also indicate country if outside of the USA.